An ideal resource for cardiac rehabilitation and general health promotion. 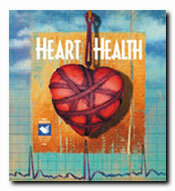 Heart disease continues to be a leading cause of premature death. Use this kit to inform people about the causes of heart disease and how they can protect themselves from cardiovascular problems.